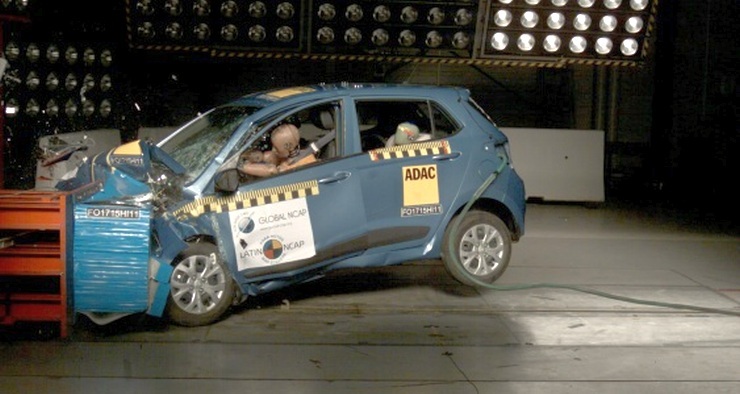 The made-in-India Hyundai Grand i10 is the latest car to flunk a NCAP (new car assessment program) safety test, in this case the one conducted by Latin NCAP. 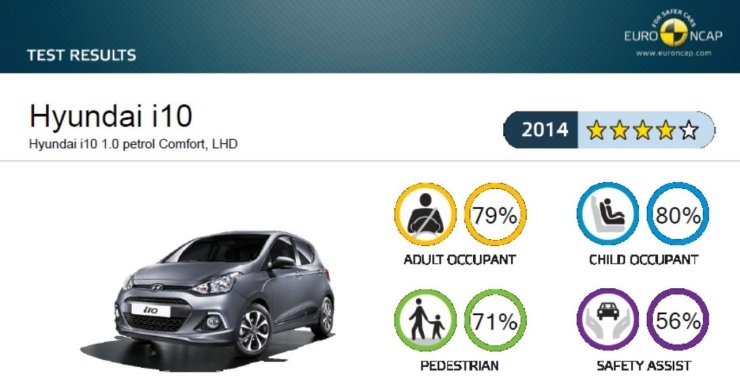 The Grand i10 scored zero stars in the Latin NCAP test and its body structure was said to be unstable. With this, the Grand i10 joins the likes of the Hyundai i10, the Maruti Alto, Swift, Celerio, the Datsun Go and the Tata Nano, in the long list of India-made cars that are said to have unstable body structures. An unstable body structure can have many implications. 1. 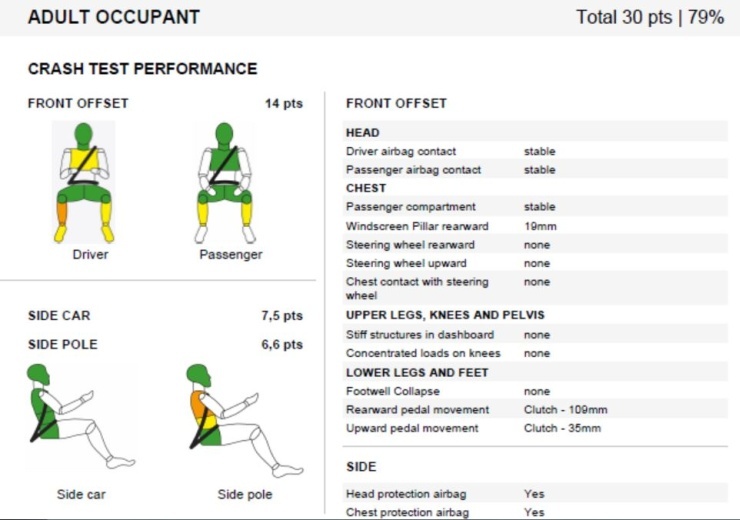 A car with an unstable body structure can kill or maim its occupants in a crash, while a car with a stable body structure can actually protect its occupants. 2. In cars with unstable body structures, adding airbags is said to be useless as they could do more harm than good in a disintegrating body shell. In fact, this is precisely what Mr. Max Mosley, the head of Global NCAP, articulated in his letter to Renault-Nissan CEO Carlos Ghosn, when he urged the latter to withdraw the Datsun Go from global markets given its poor safety standards. 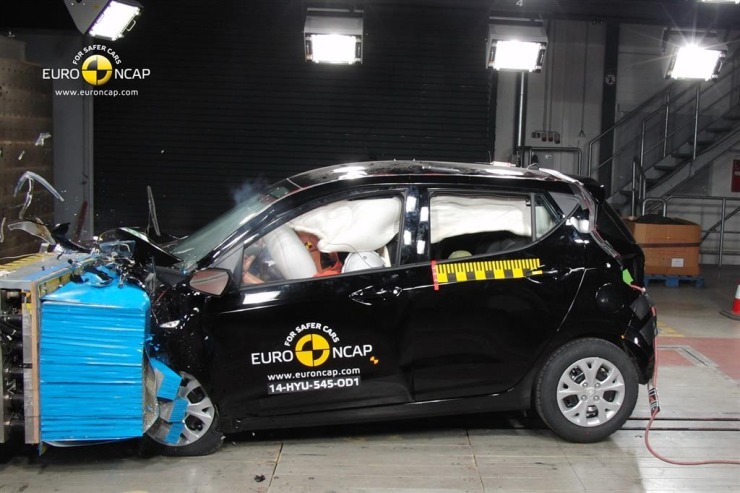 Meanwhile, the Hyundai Grand i10 sold in Europe scores a 4 star rating in the Euro NCAP safety tests. The hatchback gets additional safety features in Europe. More crucially, the body structure of the hatchback is said to be stable during the crash. What this clearly indicates is, automakers often have varying quality levels for the developed and developing world. In developing markets, where safety regulations are lax, automakers sell cars that are clearly unsafe if compared to the ones sold in the developed world. 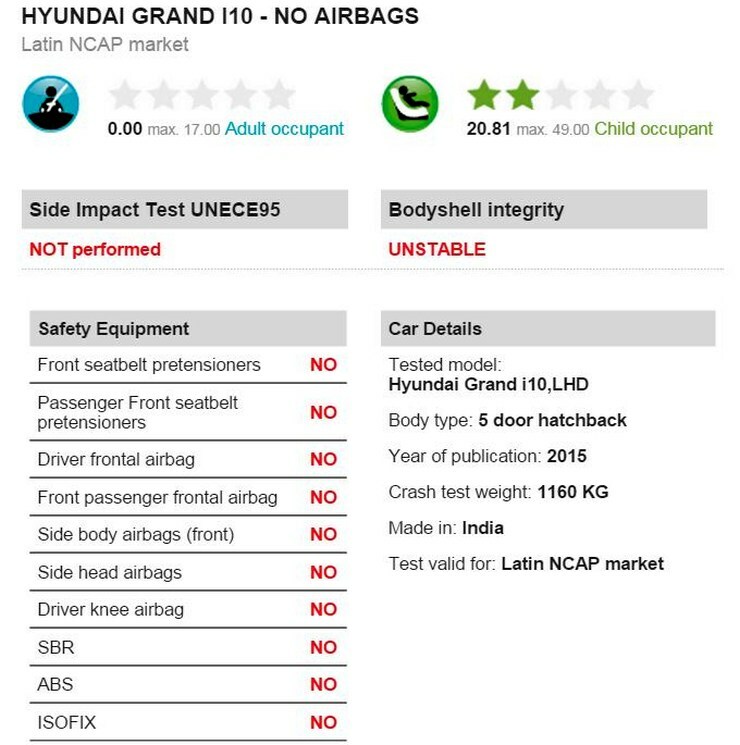 Also see – Why safe cars in Europe aren’t as safe in India? Strict legislation could be the only way to make the automakers up safety levels of the vehicles they sell in developing countries such as India and Brazil. Notably, India will soon institute a safety testing mechanism called the BNVSAP (Bharat New Vehicle Safety Assessment Program), which will make it mandatory for every car sold here to be put through a crash test program, and rated accordingly.